Today’s highly competitive business puts pressure on organizations to do more in the area of customer contact and satisfaction. Let APTO Connect alleviate some of that pressure. We take the time to understand your business goals and use our expertise to develop a customized inbound service program for your organization. Our well-trained customer service specialists employ leading-edge technology, designed to handle all of your inbound calls – from simple to complex and in between! Most importantly, APTO Connect’s inbound services are tailored to provide you with support in key areas of your business: customer service, order desk, dealer/partner information line, technical and help desk, and other program or service that enhances your service delivery. How you define superior customer contact and satisfaction is how we deliver our services. We take the time and energy to understand your needs. Talk to any of our customers and they will confirm that we know how to leverage our years of experience, resulting in highly satisfied customers. Customer concerns and complaints must be managed efficiently and thoroughly so that it is viewed as a positive experience when the customer hangs up. Customer queries must be handled promptly to support a culture of reliable customer care. Inbound queries and fundraising. Advertising and marketing are vital in connecting with customers and represent significant investment in both time and money. When you advertise products and services, you want callers to have a memorable customer experience when they call in to ask questions. If you have special offers, discounts and promotions, they appreciate talking to a professional customer service representative. If you are fundraising or looking for donations, you want to convey professionalism and trust. In today’s world, anything less than 24-hour coverage isn’t satisfactory to customers. Help desks and technical support – whether troubleshooting, explaining or fixing – the customer wants immediate access to expertise. This, too, is 24/7. Urgent calls require immediate and trustworthy responsiveness to guarantee callers that action is being taken within a specified timeframe. Our services range from telephone and facility failures to fire alarms, floods, and other critical service interruptions requiring immediate attention. We will facilitate the communication with your customers – whether it’s a seminar or course, a trade show, industry event or a fundraising gala, we’ve got the expertise and “know how” to take of the important details in supporting your customers’ experiences. One important reason is all you need to contact APTO Connect. Working with you, we’ll do the rest and you’ll benefit from the results. 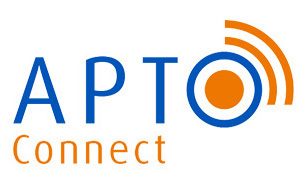 The APTO Connect team is trained to understand each customer’s preferred approach and delivery in communicating with their customers. With strong communications skills (including multilingual capabilities, if required), sound training in call centre practices and customer-focused, our employees are dedicated to building productive customer relationships.